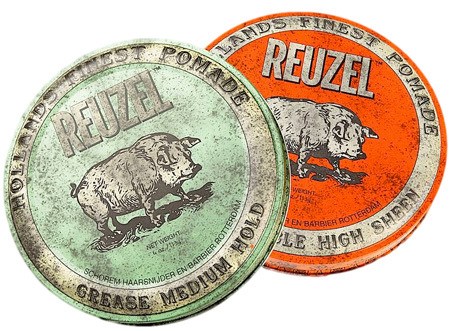 Reuzel is the Dutch word for lard and is a wink to a past when pomades were made from animal fats and fragranced with apples. The word pomade actually comes from the french word pomme, meaning apple. Reuzel pomade in the red can is a water based, high shine pomade with a subtle scent of cola. Reuzel pomade rinses out easily but holds hair like super glue and shines like a fresh coat of paint on your favourite vintage car. Click here to learn more information.